Might as well ask why "Marv-Ell" is. Because it follows the general naming pattern and, well, comics. Let's not forget resident pugnacious brawler Bron-Char. Vanguard Commander Shepard is best Commander Shepard. She's got Charge and Warp. Every time I replay Mass Effect I look at the character creation screen and think "maybe this time I'll do a MaleShep or maybe an Infiltrator or a pure Biotic". Five minutes later I'm Biotic Charging into whatever the Reapers try throwing at me. How is Carol on those shows? Also, so you can switch from ceremonial to field colors without another uniform? I do sort of wish they'd shown it early on -- they could have had a moment when they went from green and white (old Captain Marvel colors ) to all dark green in the ship before the opening raid. They did almost exactly this (IIRC it was a shift to dark neutral colours right after coming out of the water), but I guess it was easy to miss. Probably needed to verbalize it, or maybe I just forgot. Clearly, this means I need to see it again. On the topic of the photo and potential retcons: I don't remember if it was here or on another site, but I saw someone mention that the photo had a date stamp on it that placed it sometime before the events of Captain Marvel. So the only potential contradiction is that it implies Fury at one point shaved his head, then let his hair grow back in time for the movie, then eventually started shaving his head again. Which doesn't seem particularly implausible, especially if he was ever on missions that required a certain look for him. How she really defeated the Skrulls on their spaceship. Truly, the dance-off is the most powerful weapon in the galaxy. "DANCE-OFF, SISTER! YOU AND ME!" It was taken 5 years after Pierce and Fury met. Nick was deputy Chief of S.H.I.E.L.D in Bogota. Nick got promotion for saving the hostages. So little hard facts, but Id say that if Nick so deputy chief who got a promotion, he would be serving under Keller and he would be going to confirm weird reports with new recruit like Coulson. But again not much hard facts. Pierces seems to be either in SHIELD or on Council since he can get Fury a promotion. 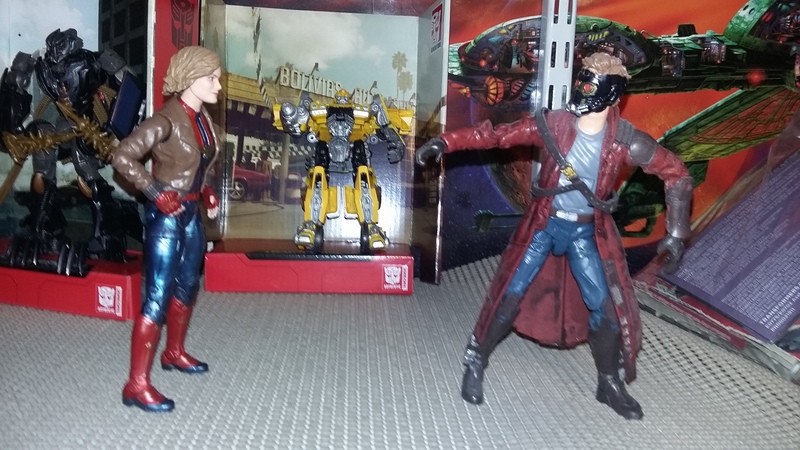 Starlord would never know what him.